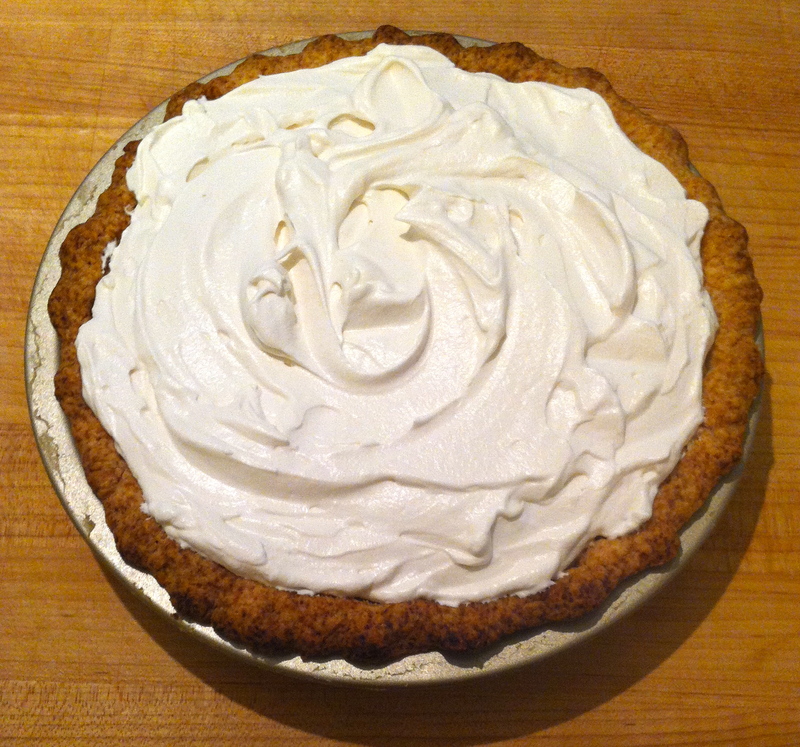 For the longest time I had been craving a slice of banana cream pie. I know I could have probably satisfied that craving by heading to the local Village Inn, but why do such a thing when baking my own would much that much more satisfying? Cream pies are, in my opinion, overlooked in the dessert world. They’re finicky – what with the custard, and all. They are time-consuming, as the crust must be pre-baked and totally cooled prior to being filled. And often, they simply don’t turn out well; they may be too runny, too “stiff”, or the crust might not be hearty enough to stand up to the custard filling. For whatever reason, I felt like accepting the challenge. I love bananas and I love pastry cream, so what the heck, right? Bring it on.